Over the years we’ve continued to make a difference in the lives of ill children and their families throughout the Antelope Valley. Since it’s creation in 2008 we’ve donated over 1.3 million dollars to Children’s Hospital of Los Angeles and local charities in the Antelope Valley. A portion also goes to local families in the AV to help at the time of need. Your generosity, love and support through events and donations will enable us to continue helping as many families as possible. 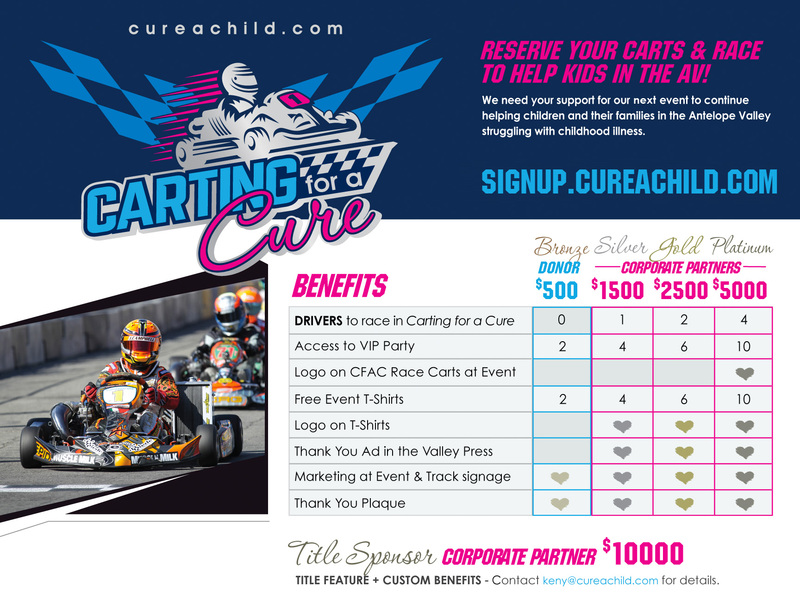 Contact us to learn more about more exciting opportunities to get involved with Carting for a Cure races and the Cure a Child Foundation. 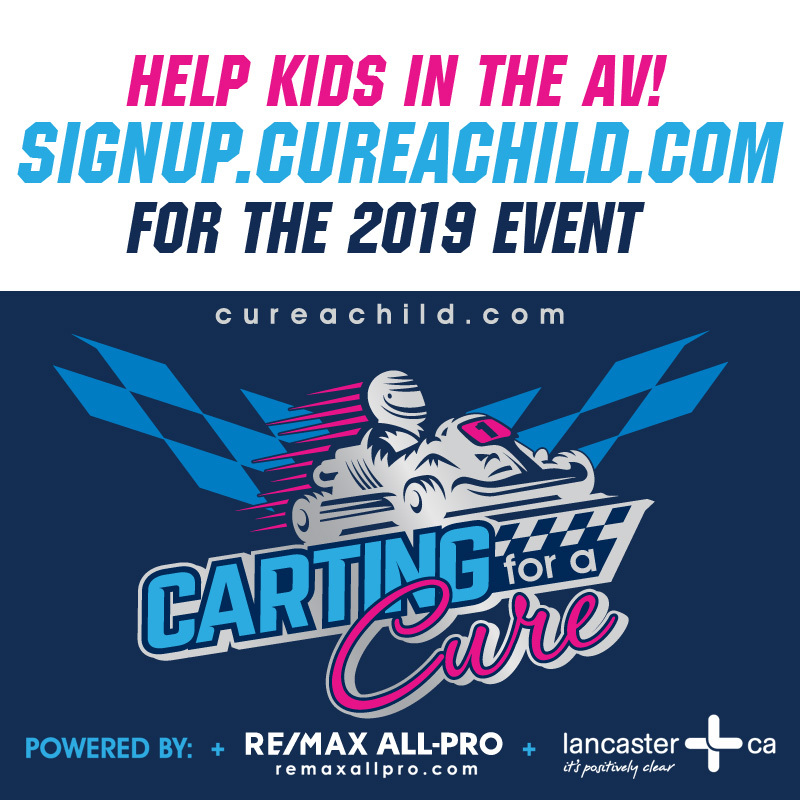 Join us for the “Carting for a Cure” Streets of Lancaster Grand Prix! This exclusive event is sure to be a thrilling experience, and an action packed weekend. 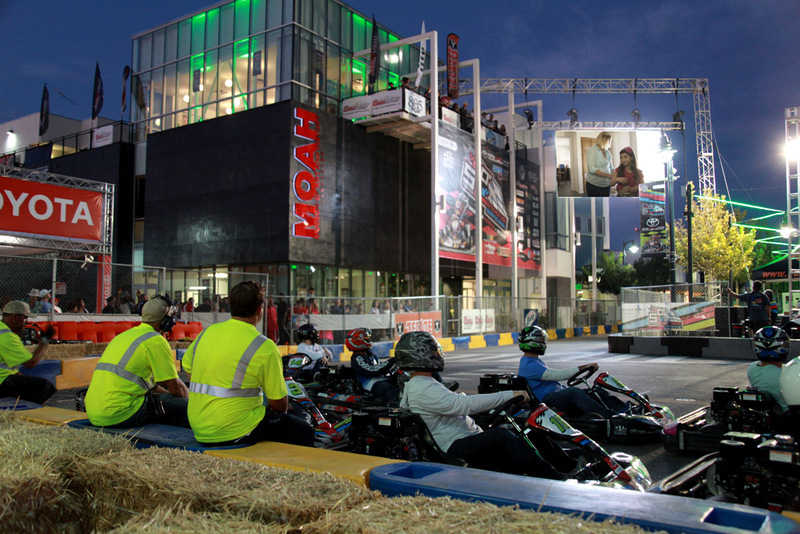 Experience the thrill as professional go-kart drivers from across the country go head-to-head on the streets of downtown Lancaster, California at breakneck speeds of up to 100 miles per hour. Between professional heats, you can race the same track and experience the intense competition as “Carting for a Cure” sponsors and local celebrities and community leaders vie for the coveted title of “BLVD Champ!” RESERVE YOUR SPOT – 30 racing spots available this year – please contact us immediately to reserve yours!